Our Agri-Service Centre is in the market town of Rumphi and has been the focus of so much attention this week. 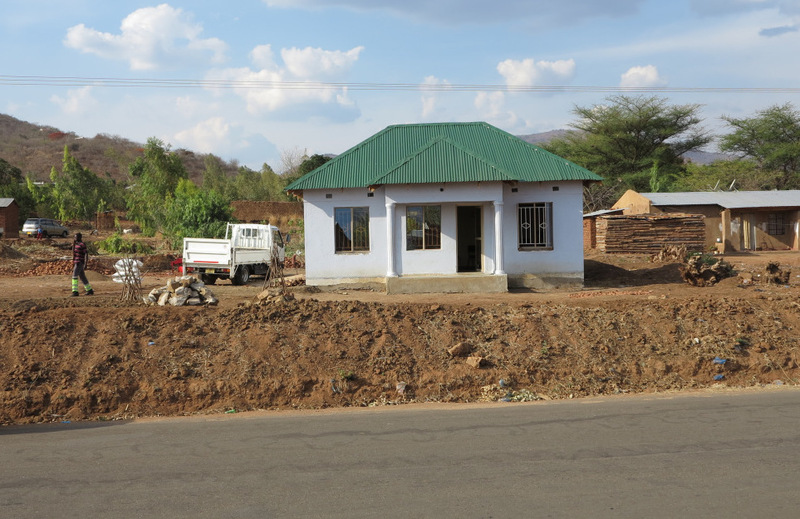 The Centre is a focal point for work and home to our growing staff team: it’s also the storage and distribution point for our solar irrigation pumps. 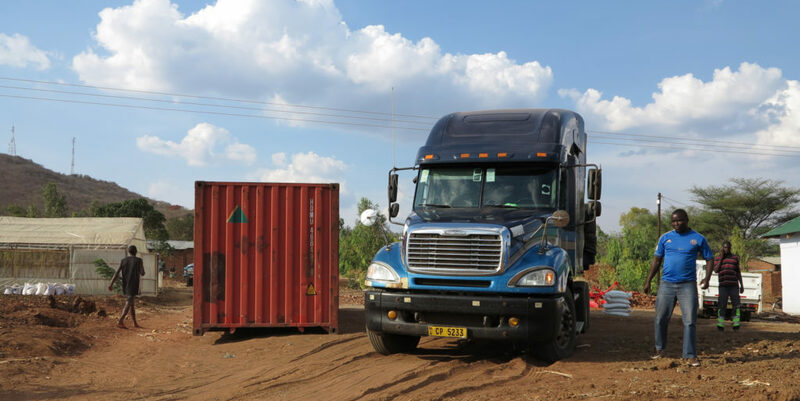 The pumps arrived on Thursday – 190 of them – on the back of one of the biggest lorries I’ve ever seen in Malawi. Our 40 foot storage container looks tiny alongside this monster truck! The team’s job is now to get these deployed to the fields with all the training and back-up that our young farmers need. The introduction of modern technology for farmers in Northern Malawi is a key part of what we do and has the power to change lives. The Agri Service Centre is also the testing ground for a potential new initiative. We are evaluating the role that greenhouses could play, particularly for women who have no land rights and so cannot gain income from farming. A greenhouse alongside the family home could enable a woman to earn an income through farming while balancing childcare and household responsibilities. Charles Howie is researching this possibility for us and the team have built a test model where they are trialling several varieties of tomatoes.. Much more to come on this, I think…..